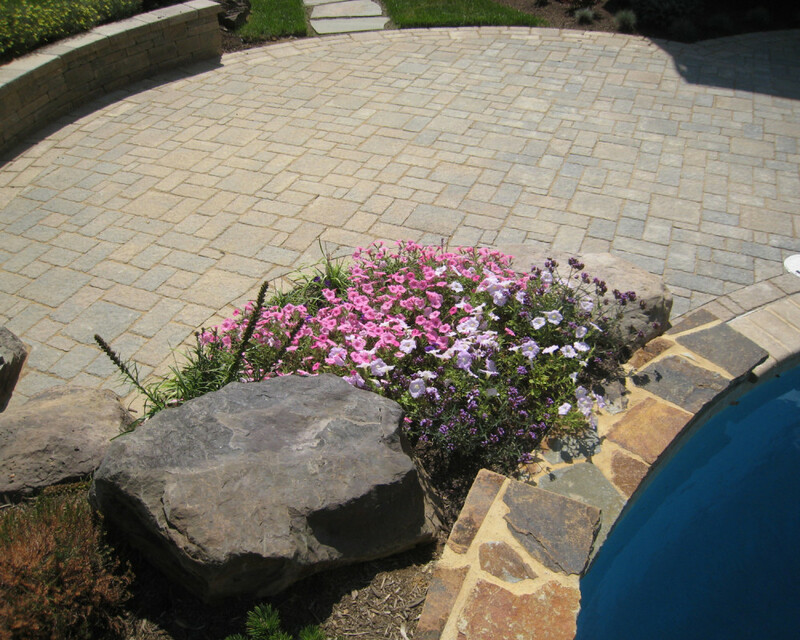 Since 1980, The King’s Masons, Inc. has established it’s unique reputation specializing exclusively in hard-scape design and construction in the Virginia, Maryland, D.C. area. 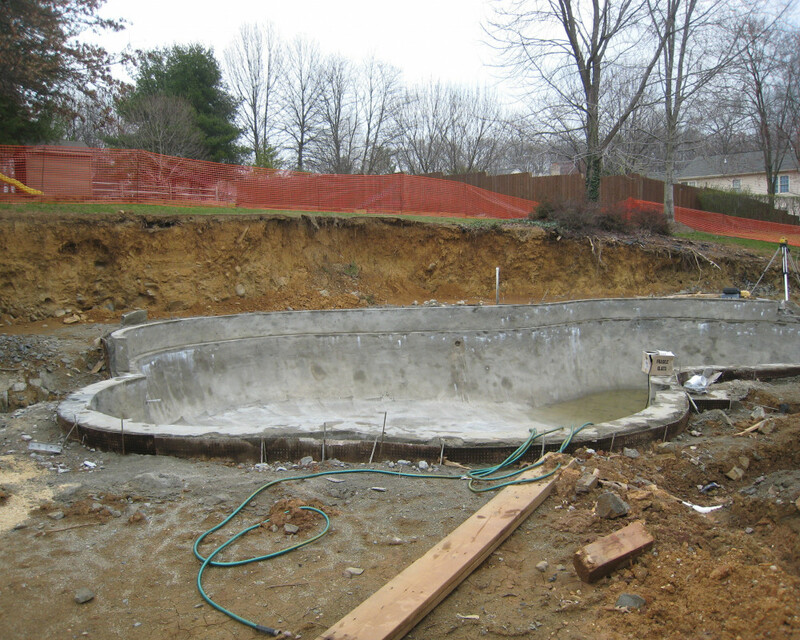 Pool company put in pool but left homeowner with no solution on the elevation change. 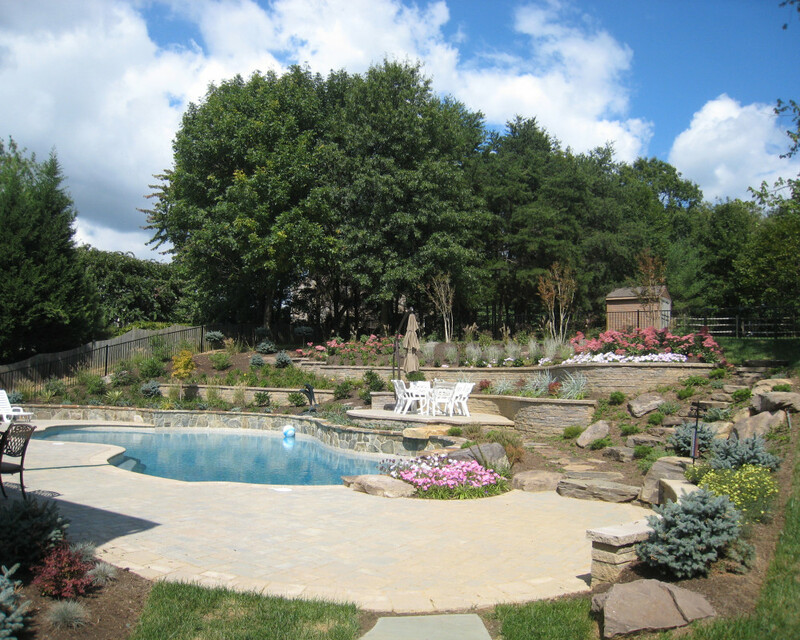 Our company designed terraced retaining walls with patios for additional seating / entertaining.